Saluja is an assistant professor of medicine and a health services researcher at The Gehr Center for Health Systems Science. Saluja’s research focuses on health disparities as well as access to care for vulnerable populations. Her projects have examined access to insurance and primary care in the setting of health care reform. Saluja currently has an institutional K award to study how safety-net patients in Los Angeles County are navigating the healthcare landscape under the ACA. Saluja is also the course director for the new Gehr Schaeffer Health Policy Educational Series at the Keck School of Medicine. 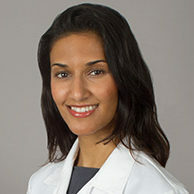 Saluja attended medical school at the University of Wisconsin and completed her residency training in Internal Medicine at Providence Portland Medical Center in Portland, Oregon. She received a Master of Public Health from the Harvard T.H. Chan School of Public Health while she completed her fellowship training in General Internal Medicine at the Cambridge Health Alliance. Saluja is board certified in internal medicine and currently sees patients at LAC+USC hospital where she teaches and supervises residents and medical students.